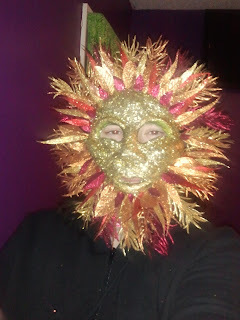 this yule i made some masks for a winter solstice ritual celebrating the return of the sun. i'm still a novice at mask making, but i felt much more confident with the process this time. 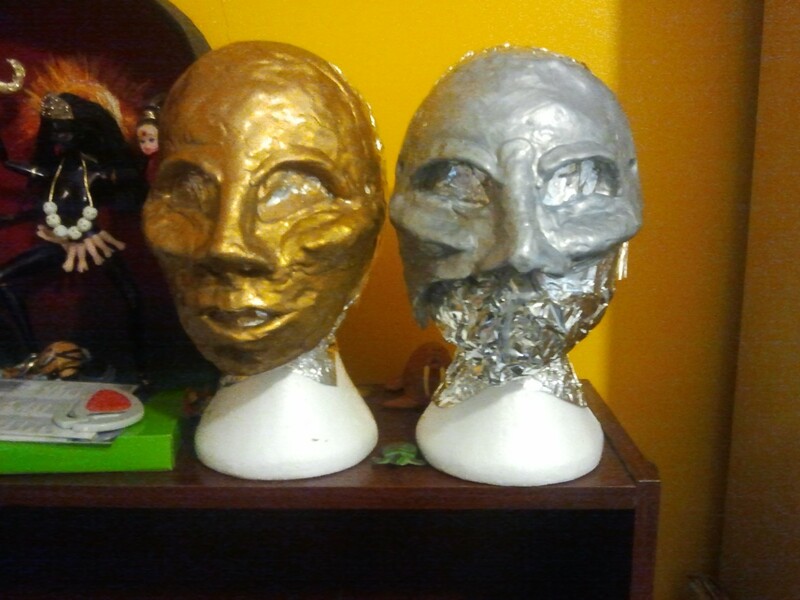 i'm definitely pleased with the results and impressed that these seemed to fit well even though i made them without measuring or molding the faces of the people that wore them. that is the benefit of using model magic i think. it remains slightly flexible even after it's cured. here's the sun god mask ready to dry. 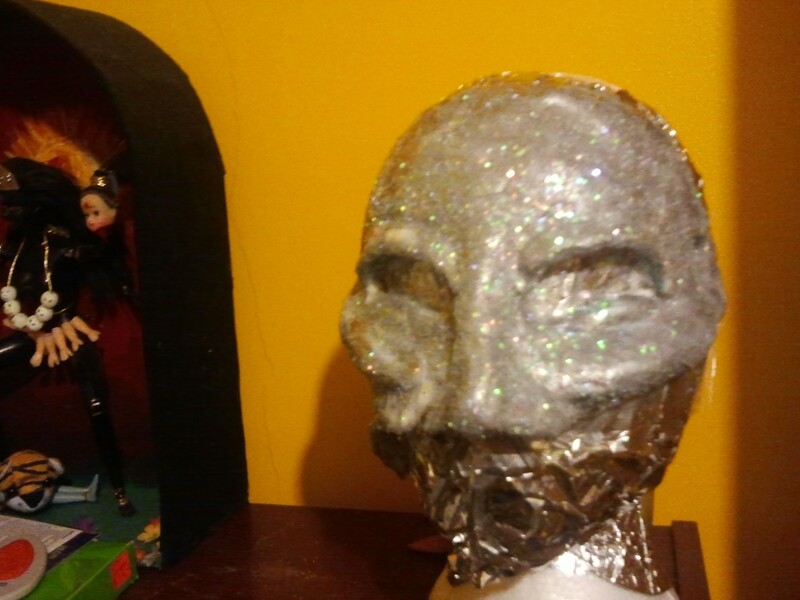 i sculpted these both out of crayola model magic, just like the henry killinger mask. 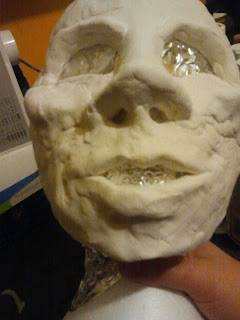 again, it's hard to get a smooth surface (as is obvious here. 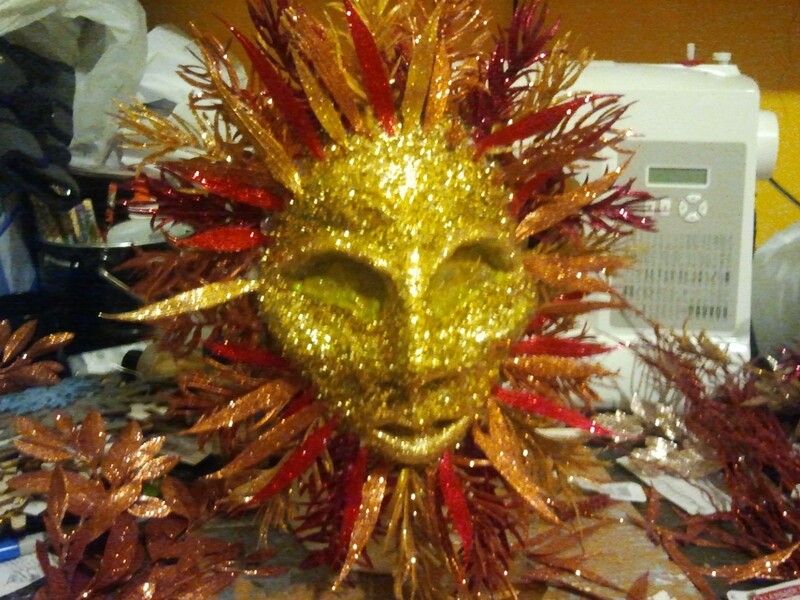 it looks like the sun god has some severe acne scars ;) i didn't care too much this time because i knew i was going to add glitter and several coats of varnish. the masks were built on top of some styrofoam wig stands i picked up at a thrift store for cheap. 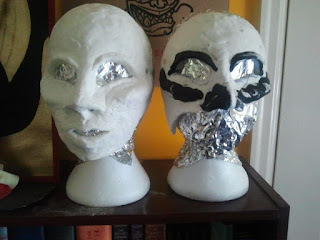 i covered them with aluminum foil to prevent the clay from sticking to the foam. here's both of them drying in my studio. 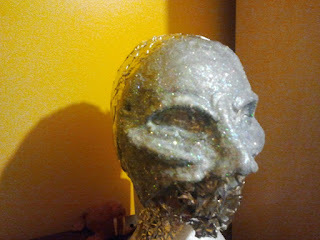 i used the leftover black model magic from the killinger mask on the moon goddess. that's why she looks weird here. yes, model magic comes in a bunch of colors. here they are after priming and the base color was added. you can see the surfaces are still rough, but it will get better. here's the moon goddess after her glitter treatment. 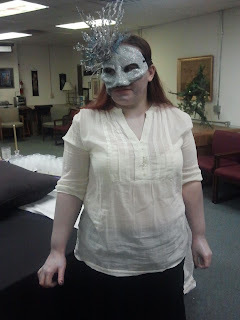 she is a half mask because she needed to vocalize during the ritual. the asymmetry was supposed to be indicative of a crescent moon. i'm not sure how successful that was, but i think she's still pretty. and here she is with her flora attached (yep. 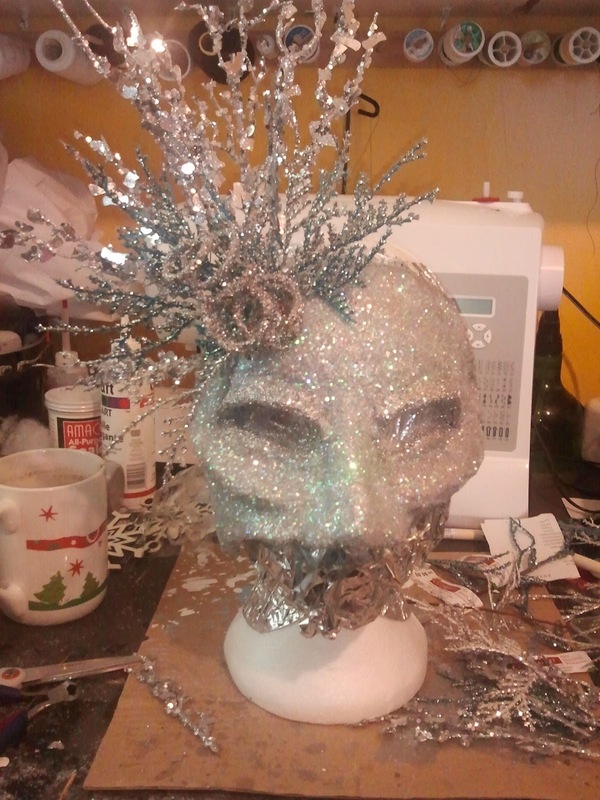 these are supposed to be "christmas floral" pieces as well) i loved these pieces because they reminded me of ice as well as silvery moon things. after the look was completed i proceeded to cover the masks in several layers of mod podge and spray varnish. these puppies DO NOT spread glitter everywhere, thank you very much! 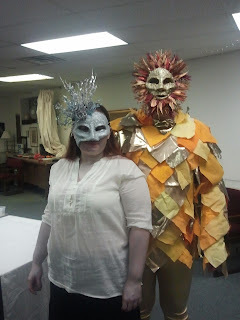 here are two pics of me wearing the completed masks. 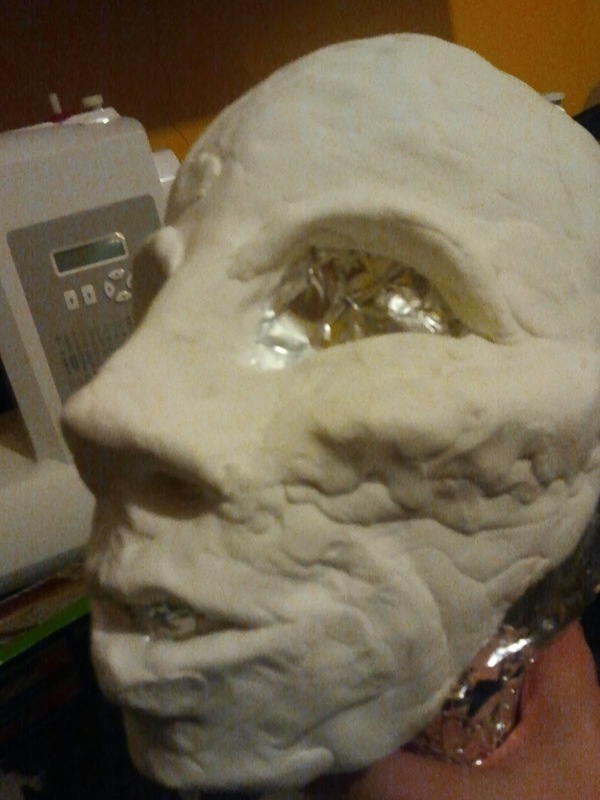 i wanted to show off how the eyes look through them since the photos of the people in the ritual don't show that. i was going to cover the eye holes with black see through fabric, but decided against it. i really like seeing the eyes. 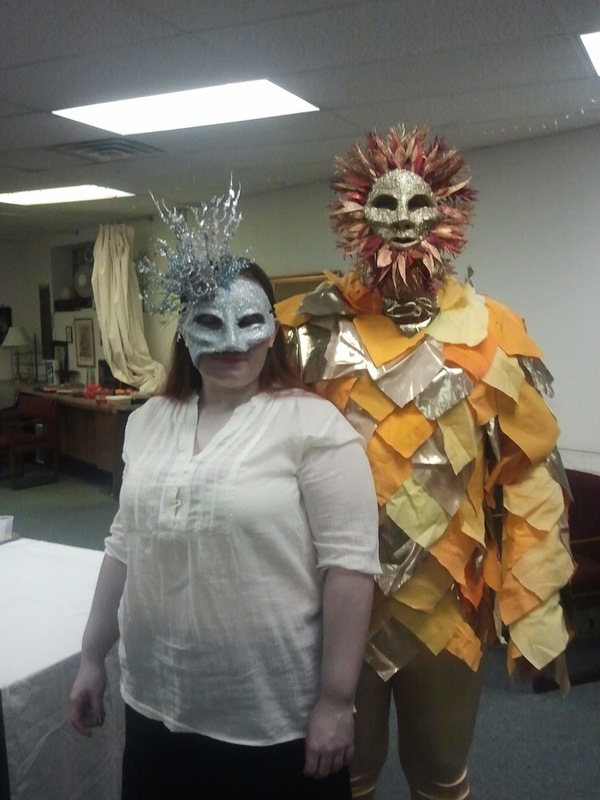 and here are the photos of the goddess and god in full costume. 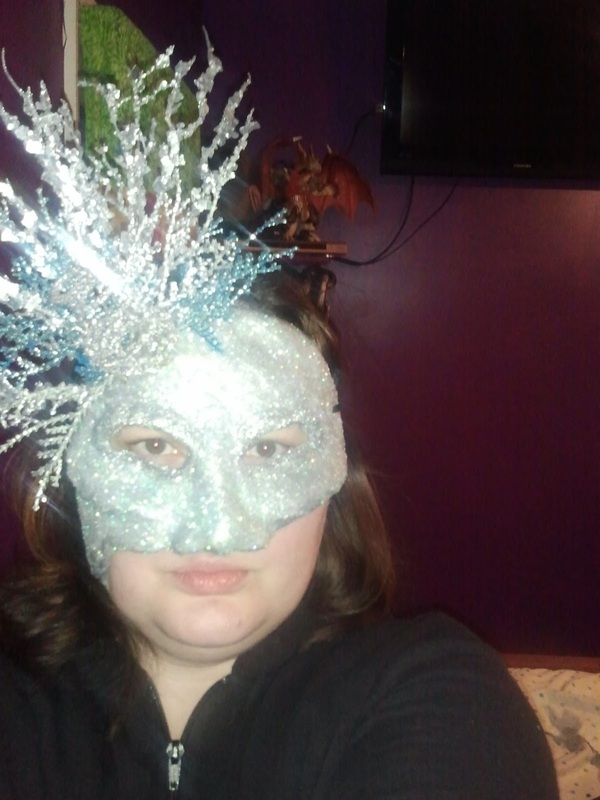 she's covered in silver body paint. it's subtle, but it worked really nicely. 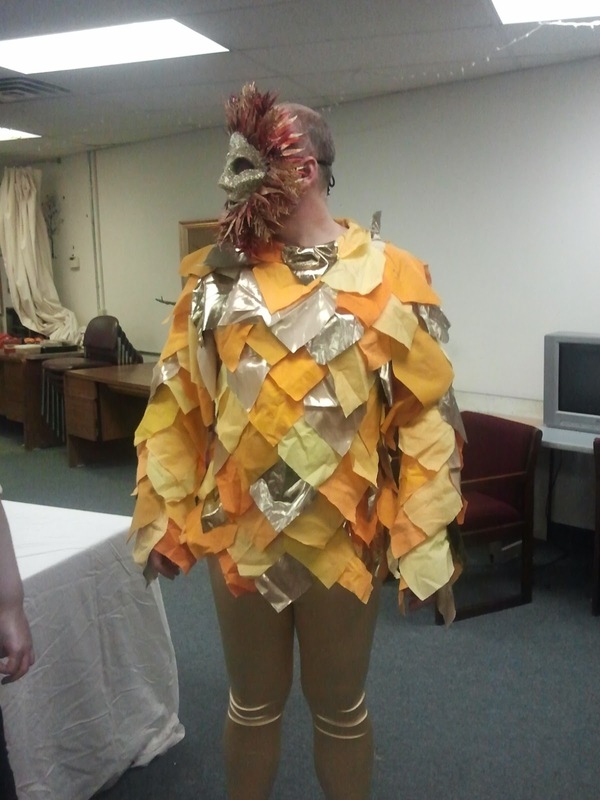 he put this costume together himself. just fantastic! and holy safety pins batman! Those are gorgeous! I love them both, but that Sun especially... so vibrant and eye-catching! I think the symmetry works for the moon mask, but especially *because* it's only on half the face... give sort of a light-of-the-moon/dark-of-the-moon effect.